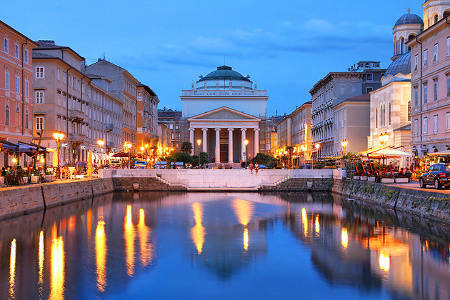 Trieste is located in northeastern Italy bordering Slovenia and is the capital and largest city of Friuli-Venezia Giulia region. 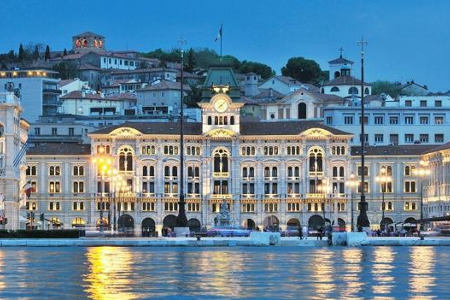 Trieste is one of the most important Italian seaports as well as a capital of literature and music. A combination of geographic and historical factors has made Trieste a unique city and a fascinating place to visit. It has maintained its cultural diversity because of its heterogeneous history and the different ethnic groups that live here side by side. Trieste, the birthplace of Italo Svevo and Umberto Saba two of the most important Italian writers of the last century, has increasingly developed its international level of scientific and technological excellence with more than 30 research institutions located on its territory that carry out cutting-edge research with solid international collaborations. Trieste is connected with high-speed trains to Rome, Turin, Milan, Bologna, Firenze and Venice. The trains stop at Trieste Central Station. The International Airport of Ronchi dei Legionari is located at 33km North of the city center. A bus service (Bus Number 51) runs to the airport from Trieste's bus station (next to the Central Railway Station). Weekdays buses leave at 5 minutes and 35 minutes past the hour however on Sundays the service is every 1 to 2 hours. The bus (ticket fare 4,05 Euro) takes about 55 minutes, a taxi (approx. 65,00 Euro) takes 30-35 minutes. Bus tickets are available at the Airport terminal or on board.